Some things just don't age well-like those leftovers in your fridge, bananas, and Val Kilmer. Similarly, so many things are better when they're young and fresh: love, kittens, Olympic athletes, baked goods. Besides, even though they say good things come to those who wait-like Christmas, and maybe the next Star Wars movie-wouldn't you rather get the good things without even having to wait for them? In a world of instant gratification and pre-fabrication, microwave dinners and internet communication, what if the quicker version of something really was just as good? Enter Beaujolais Nouveau-an unaged red wine bottled and ready to drink in only about six weeks after its grapes are harvested. It's fruity and flavorful, pleasant and palatable. With the exception of maybe your last two-month relationship, how many other things do you know that have already reached their prime after just six weeks? 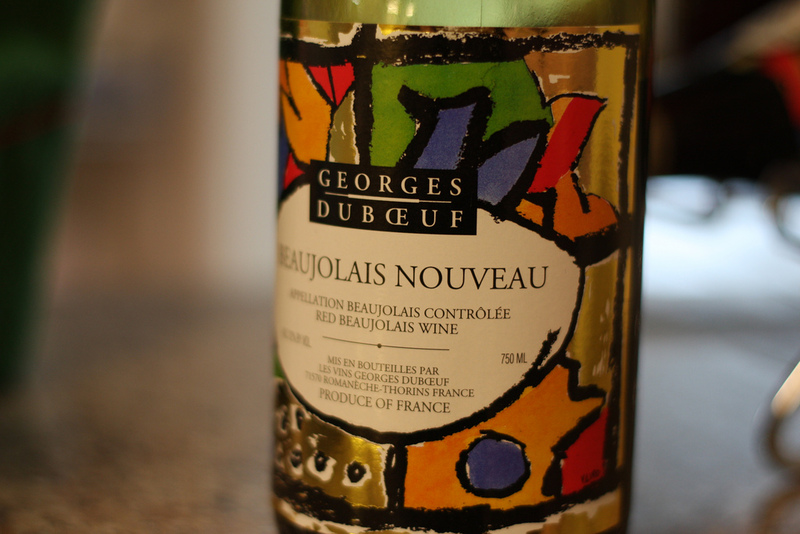 "Vibrant red fruits such as strawberries and currants on the palate and an intense perfume make this wine a perfect accompaniment for cheese, charcuterie, and traditional holiday fare," says Bernie Ralston, a rep for the Georges Duboeuf wine brand, which is probably the largest and best-known Beaujolais Nouveau label in the world. 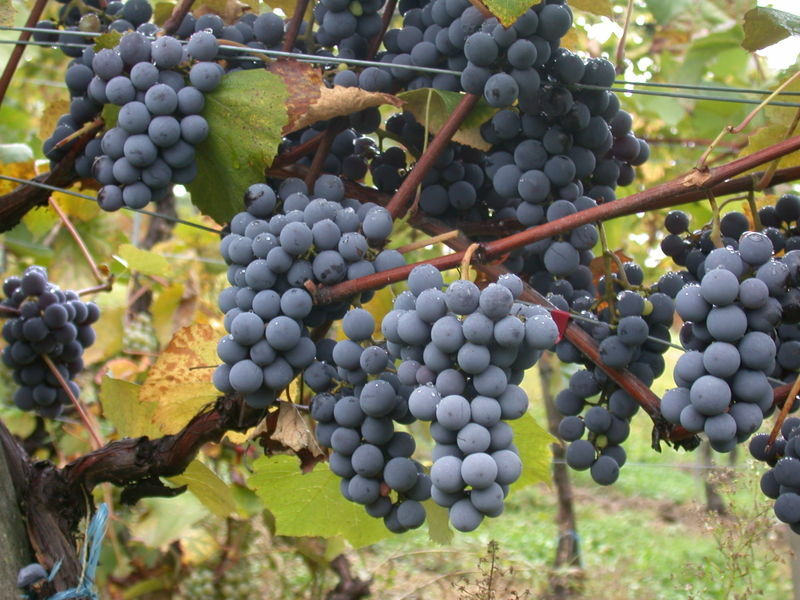 Beaujolais Nouveau is made with Gamay grapes, which, by law, must be hand-picked and have to come from the Beaujolais region. Located in the east-central part of France near Lyon, this grape-rich region has about 4,000 vineyards crowded into an area only 34 miles long by about eight miles wide. The Nouveau wine is big business there: Around a third of all the grapes harvested in the region end up in a Beaujolais Nouveau bottle, with Nouveau accounting for as much as 25 percent of all the wine produced in Beaujolais. According to one estimate, last year, there were approximately 2,000 different producers putting out about 330 million bottles of Beaujolais Nouveau-that's enough to fill around 99 Olympic-sized swimming pools! Of all that wine, France only hangs on to about 60 percent of it, exporting the rest all over the world (approximately 12,000 bottles will land in Louisiana). But this wasn't always the case. The winemakers of Beaujolais have been making a rapidly fermented wine like Nouveau for probably a hundred years, in order to celebrate the end of the annual grape harvest. But for a long time, they kept it all to themselves and refused to share. Doubtlessly recognizing a good thing when they sipped it, up until World War II, the wine was produced only for local consumption. But that didn't last. It soon became customary for the wine producers, after bottling a new vintage, to race to see who could get the first bottles to Paris-and into consumers' hands and glasses-the quickest. This race brought the wine into the spotlight, as it drew much media attention, and it became an official, national event in France by the 1970s. The idea quickly caught on and spread to other countries, leading to a global Beaujolais obsession that continues to this day. They say that Beaujolais Nouveau is meant to be drunk young, and is not intended to be kept around for a long time (also, probably, like your last relationship). Best served at about 55 degrees, it is a versatile, easy-drinking wine: sophisticated but not snooty, fulfilling yet not frilly. The winemaking process known as carbonic maceration keeps the skins of the grapes and their overbearing tannins from getting too heavily involved with Beaujolais Nouveau, which keeps the wine from being too intense or bitter (like your ex). "It is a young wine that shows all the grace and vitality of the new vintage each year, and it matches perfectly with so many different food types," says Ralston. Beaujolais Nouveau used to be dismissed by many wine snobs as immature and undeveloped, simply because it is only fermented for a matter of weeks and is not aged. For quality and flavor, it is often ranked below champagne, its paler, effervescent cousin-with whom it shares the hand-harvesting requirement. (Champagne is the only other wine besides Beaujolais that, by law, must be made with grapes picked by hand.) But before we let champagne one-up this light and clean red, consider this: Champagne is often associated with celebrations and good times-a regular accompaniment for special occasions and festive events. 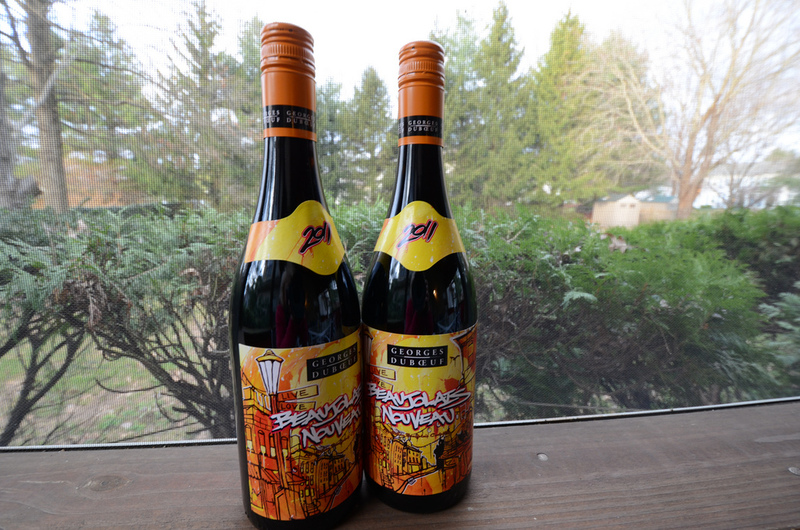 But only Beaujolais Nouveau comes with a party of its own. 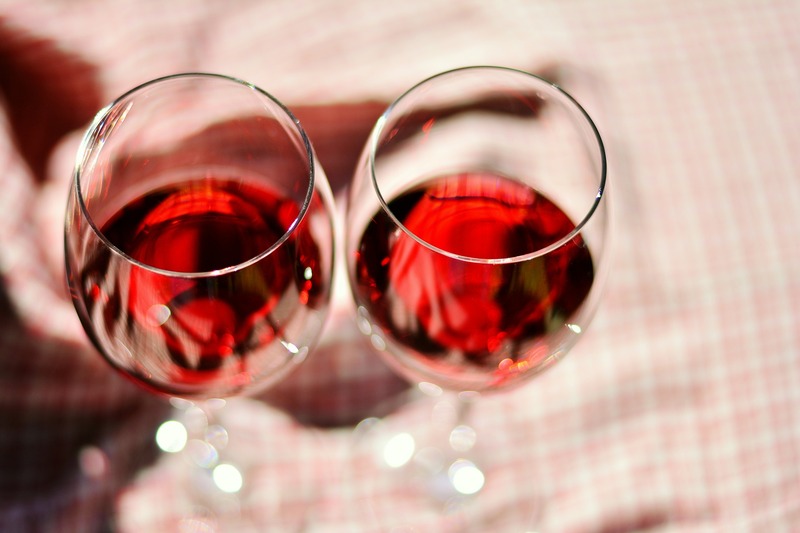 The wine is legally not allowed to be released until exactly 12:01 a.m. on the third Thursday of November each year, known as Beaujolais Nouveau Day, at which point it is released with much fanfare and hoopla-including events, parties, and even festivals. In the French Beaujolais region alone, there are some 120 festivals in the wine's honor, as well as countless other celebrations all around France and the world. 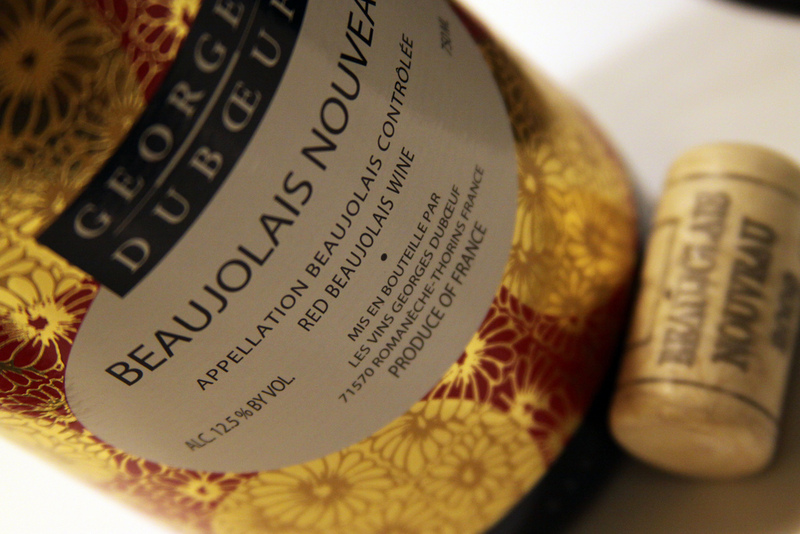 In other words, champagne helps us celebrate, but we celebrate Beaujolais Nouveau. Though the wine cannot be opened or consumed before its big-reveal day, it is usually globally distributed in advance, then released in each of the various markets on the third Thursday. That way, all around the world, we can all celebrate Beaujolais Nouveau together on the same day. 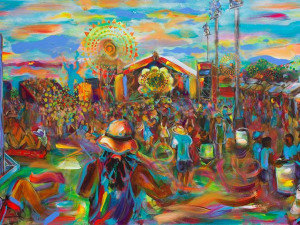 It's a world-wide wine bash! In New Orleans, you can come out and celebrate Beaujolais Nouveau in typical French style-with plenty of good French food and wine-while supporting a great cause. On Thursday, November 15 (Beaujolais Nouveau Day 2018! ), the French American Chamber of Commerce-Gulf Coast (FACC-GC) is putting on its annual fundraiser and Beaujolais Nouveau fête. 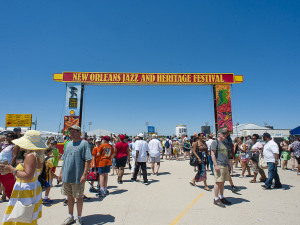 From 7 p.m. until 10 p.m. at the JW Marriott New Orleans, you can sample food from such great local restaurants as Café Degas, La Louisiane, Vyoone's, and Maurice French Pastries; bid on items in the silent auction; catch a presentation by Mayor Cantrell; enjoy live entertainment from Sh'On and the Girls Band; and swig lots of excellent French vintages. "Nouveau is special because it gives consumers the chance to celebrate the new vintage with family and friends during the holidays," says Ralston. Money raised at the event will help support the FACC-GC's programs, promoting both trade and relations between France and the Gulf South. "The Beaujolais Nouveau Celebration is the flagship fundraising event for the French American Chamber of Commerce in New Orleans," says Marie Kaposchyn, co-chair of the event. "We are proud to open the first Beaujolais Nouveau bottle at the same time as it is released in France and celebrate with our loyal friends and supporters." The FACC-GC's Beaujolais Nouveau Celebration will be held at the JW Marriott New Orleans, located at 614 Canal St., from 7 p.m. until 10 p.m. For more information or to buy tickets, go to 501auctions.com/beaufacc, facc-gc.com, or thompson-auctions.net/facc.